In reference to my previous post about Flutter False Lashes's mink falsies, here are a couple of photos showcasing how these wonderful, lavish lashes look when worn. This particular eyeshadow look was heavily inspired by the wonderful YouTuber Emma Pickles, although I made a few minor changes to this look such as softening the edges for an ultra smooth appearance, whereas her version was much more defined and had a sharper shape to it. I also opted for a white pencil along the lower waterline instead of a blue, for the simple fact that I usually like my eyes to appear larger than really are as I don't have huge eyes to begin with. 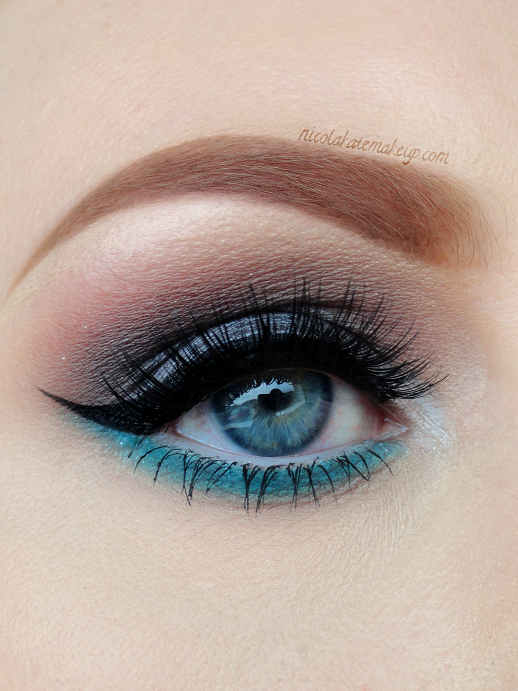 The majority of shadows used in this look are from the Urban Decay Naked Palette. 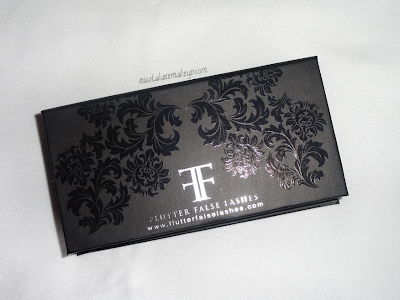 This week, the lovely Hayley over at Flutter False Lashes was kind enough to send me out a sample of their gorgeous eyelashes. This luxury false eyelash brand specialise in 100% cruelty-free mink lashes. But why Mink? Mink lashes are well known for having a more natural appearance and softer texture compared to more commercial brands of eyelashes. Most brands that stock mink lashes - including Flutter False Lashes - claim that these eyelashes can be worn up to 25 times! That's a pretty astonishing lash life considering that even when proper care is taken in preserving more commercial false lashes, they still often become extremely tatty looking within the first few wears. However, to get the most out of your mink lashes I would avoid applying any mascara to them to try and keep them as preserved as possible. Also, as these are 100% natural fur, these lashes can also be curled with an eyelash curler without cause any damage. 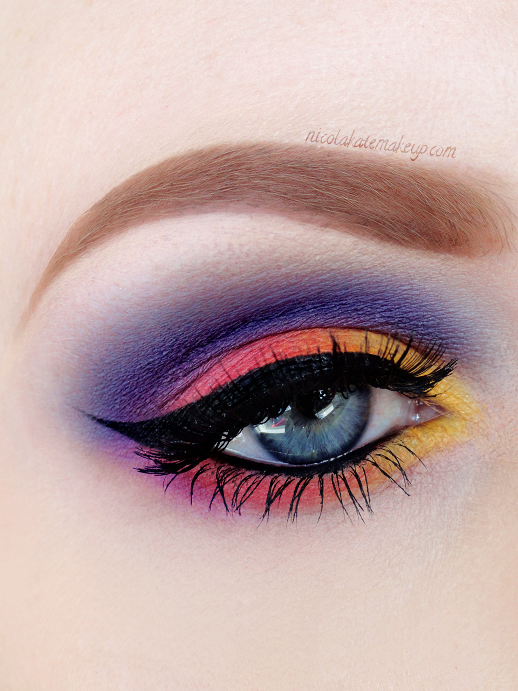 I'd be lying if I said I didn't love this colour combination that we're all too familiar with in the online makeup community. Inspired by the colours of a summers sunset, this look incorporates both warm and cool shades to create a striking, yet playful colour combination. Another recreation of a look I did at the very beginning of the year. I love recreating looks that I have done in the past, as I'm constantly learning new things every day and discovering products that I've never used before, so I really enjoy the challenge of bettering myself and trying to improve the things that I wasn't happy with the first time around. 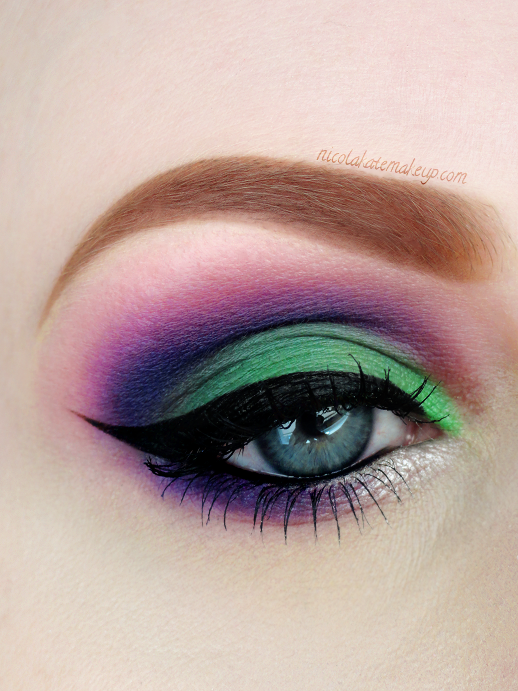 I used mostly my 2nd Edition BH Cosmetics 120 Color Palette for the main shadow colours in this particular look (my holy grail of all palettes), but there are various alternatives of this palette (I believe a lot of the 120 palettes you see around on the internet are made by the same manufacturer but just have a different name printed on the front of the palette packaging) available on eBay and Amazon. I was so eager to get playing around with my new Eyeko eyeliners, that I jumped at the chance this afternoon when I had a few hours to spare. 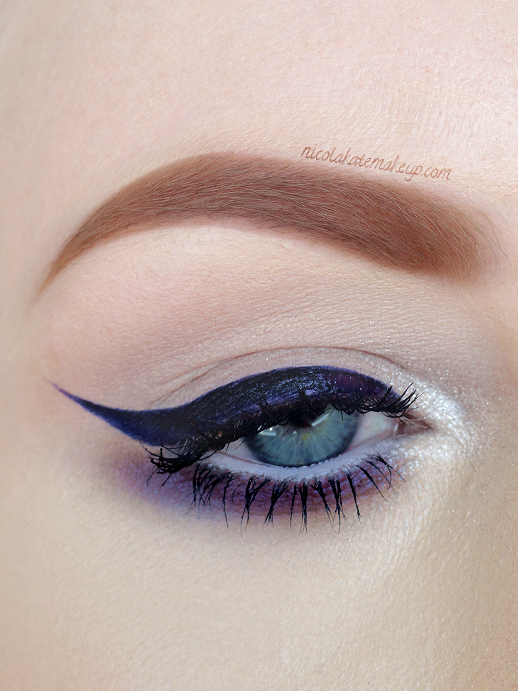 If you keep up with my blog and follow me on Instagram you will probably notice that I'm a big fan of purple shades, so naturally, out of the 5 coloured eyeliners I swatched in my previous post yesterday, the first one I reached for was Eyeko's purple liner. It's a very gorgeous, deep purple. It's not so bright that more concious people like myself would be hesitant to wear it out during the daytime, but at the same time it's not too dark that you can't actually tell it's a purple, instead of more generic eyeliner colours like black or brown. I am so impressed with how easy these eyeliners are to apply. 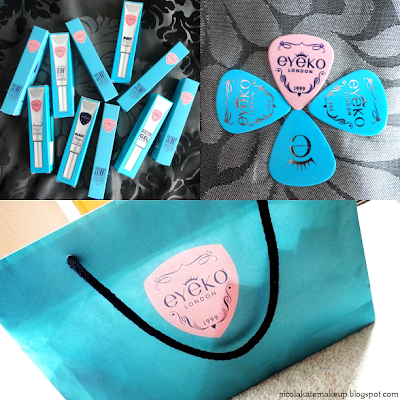 The pointed tip makes it simple to get your eyeliner nice and neat and the colour pay off is good too - there's no need to press down hard to get a lot of colour out of the pen and I can't wait to wear this particular eyeliner out and try out the rest of the colours that Eyeko provide. I received my Eyeko package in the post last week so I thought I'd put together a blog post on my first impressions of their products, along with a few swatches. Please take note that this post will be image heavy. What I received in my package were: All 5 of their skinny liquid eyeliners in all of their colours, all 4 of their different mascaras, and finally, their brow gel. Of course - with any kind of product you buy - your very first impression is based on how the product is actually presented in it's appearance and packaging. After all, it IS the first thing you see. Please be aware that this post is image heavy. When thinking of summer I usually think of the beach and the ocean along with the other bright colours that often make an appearance during the spring and summer seasons. 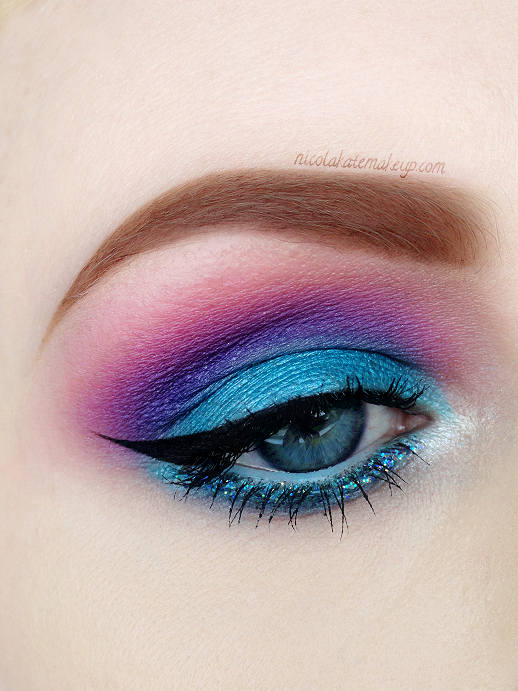 With that in mind, I used marine blue and ultra violet combined together with a touch of sparkle to create this beautifully vivid, exciting and eye-catching look. 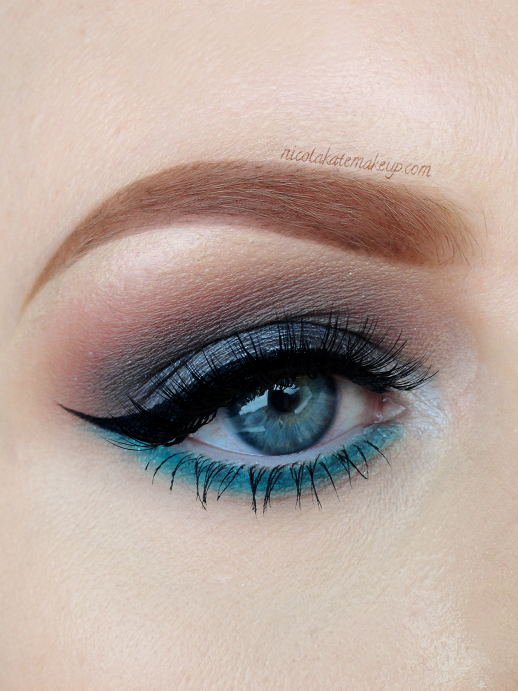 I decided to add my usual winged liner to this look, but chose to keep it much thinner at the centre and inner corner of the eye to avoid detracting any attention from these gorgeous colours whilst using a white liner along the lower lash line to make sure that the eye is left looking awake and fresh.